It’s unusual to have such a warm day here in northern Michigan in November. Taylor grilled some brats and hot dogs for our lunch today given to us by our kind neighbors before they headed down state this weekend. 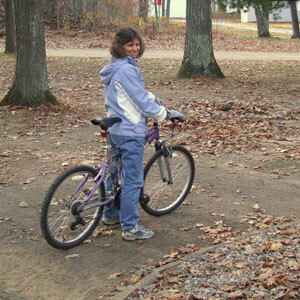 And Carolyn even got out for a mid afternoon bike ride.